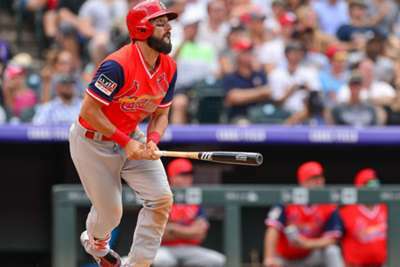 The St Louis Cardinals topped the Colorado Rockies 12-3 thanks to Matt Carpenter in MLB action on Sunday. St Louis tallied 16 hits to pull away for victory at Coors Field as the Cardinals made it six wins in seven games. Cardinals star infielder Matt Carpenter went four for five with two runs scored and two RBIs, tying an MLB record with four doubles in a nine-inning game. The Cardinals broke the game open with six runs in the first inning and followed with four more in the third to make it 10-1. From there, St Louis cruised to the victory. Outfielders Tyler O'Neill and Harrison Bader both drove in a pair of runs for St Louis. The Cardinals (73-51) finished play leading the National League wildcard race. The Rockies (71-59) are one game behind the Milwaukee Brewers for second spot. Jason Kipnis went four for five with four RBIs and three runs scored in the Cleveland Indians' 12-5 win over the Kansas City Royals. Chicago Cubs starter Kyle Hendricks threw seven shut-out innings against the Cincinnati Reds, who were blanked 9-0. Chris Archer allowed six runs in four innings pitched in the Pittsburgh Pirates' 7-4 loss to the Brewers. 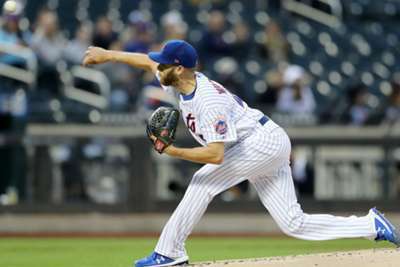 The New York Mets and their bullpen combined to surrender 14 runs in two innings of work against the Washington Nationals, who posted an emphatic 15-0 victory. Texas Rangers centerfielder Carlos Tocci made a diving catch to rob San Francisco Giants outfielder Andrew McCutchen of a hit in a 3-1 loss. The two top teams in the American League West will open a three-game series at Minute Maid Park on Monday. Brett Anderson is set to take the mound for Oakland, while ace Gerrit Cole will start for Houston. The Athletics took two out of three games from the Astros in their series at the Oakland Coliseum earlier this month.